Fort Worth is located in the northern portion of Texas and is home to the famous Fort Worth Stockyards. From rodeos to cattle shows, Fort Worth is a true Texas town. Visitors to this area are provided with plenty of outdoor fun and access to some of the top museums in Texas. The National Cowgirl Museum and Hall of Fame gives residents and visitors a glimpse of the pioneer days in this southern town. Fort Worth is also a great place to find a new holistic dentist. There are plenty of excellent holistic dentists to choose from with a large variety of specialties. The Emergencydentistsusa.com website makes it simple to begin and end that search for a new Fort Worth holistic dentist. Just log onto our comprehensive website and scroll through the hand-selected listing of holistic dentists. Click on the dentist that you choose and go ahead and set up your first appointment. 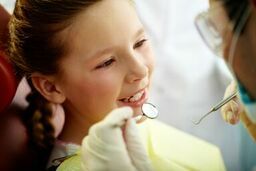 You can find all of the important information that you need right on the Emergencydentistsusa.com website. From driving directions to office hours and insurances accepted, all of the information that you need is always at your fingertips. When you are having a tough time selecting a new Fort Worth holistic dentist, our 24-hour dentist finder hotline is standing by to offer you the help that you need. Just call our toll-free number and speak with a caring agent who can assist you right now. Choose a new dentist, set up that first appointment, and even get driving directions in a simple phone call. Remember to bring your dental insurance card and your photo ID along with you to your first visit. You should try to arrive at least 10 to 15 minutes early to ensure that you have plenty of time to fill out the new patient paperwork. From rodeos to museums, Fort Worth has a little something for everyone. This Texas town also has a great selection of holistic dentists. Check out three of our top dentists by scrolling down. Description: Beautiful and natural results are on the agenda at Clear Fork Healthy Dental Care. This Fort Worth dental clinic is the perfect choice for anyone with dental issues that require restorative or cosmetic care. TMJ treatment and appliances along with sleep apnea therapy are all provided at this holistic dental center. Description: Replacing old amalgam fillings with modern and holistic alternatives is just one of the services offered at Pride Dental. Two friendly dentists and a caring staff make this dental office a favorite in the Fort Worth area. TMJ treatment and sleep support are also available through Pride Dental. Description: Select Mira Vista Smiles for a chance at obtaining the very best smile that you have always dreamed of having. Dr. Phillips is changing lives through restorative and cosmetic dentistry with special attention paid to whole body health. This full-service dental clinic has flexible hours and a caring staff for your dental needs. When you decided to take complete control of your whole body health, your Fort Worth holistic dentist is right at your side. From the removal of amalgam or mercury fillings to the use of low-dose digital x-rays, these specialized dental offices are designed to make your transition from standard care a breeze. Treating TMJ and sleep apnea along with offering restorative and cosmetic dental care, a holistic dentist focuses on how change your dental routine affects your entire body. When you choose a holistic dentist, you do not have to begin your dental care services all over again. You do have the option of taking control of your health, your body, and which chemicals and products are used to treat your dental issues. The Texas Dental Association is a great place to find current licensing and credentialing information for your new dentist. Just log onto this convenient website and enter your new dentist’s name into the search box. You can then view the newest licensing documents right online. You can also find this type of information at your new dentist’s office. Just speak with the dental receptionist to view the current licensing and credentials for the dentist that you have chosen. Most dental offices have these documents on display.